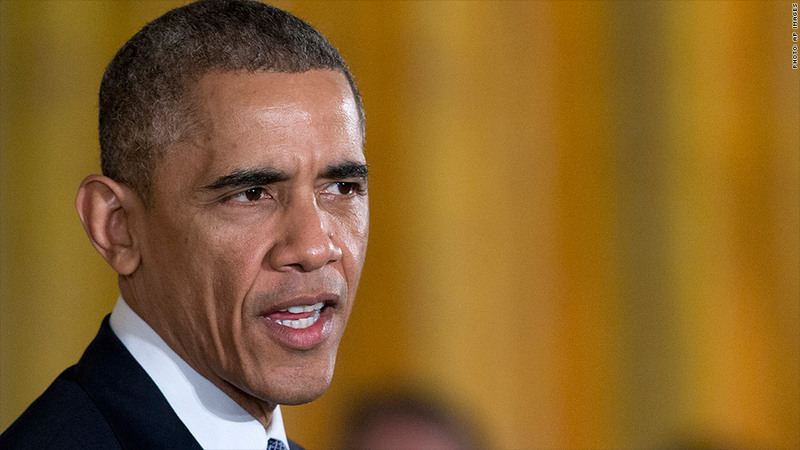 President Obama will announce his plans for immigration reform Thursday evening. He's largely expected to address the status of unauthorized immigrants. But there's hope in the tech community that he will also propose reforms to the visa policies for high-skilled, legal immigrants. In recent years, everyone from Bill Gates to Facebook's (FB) Mark Zuckerberg to Reddit's Alexis Ohanian have spoken out about the importance of immigration reform. Foreign students disproportionately study tech fields, but there are limited options for them to stay in the U.S. after graduation. This hurts the U.S.' competitiveness and stifles innovation, especially since foreign-born entrepreneurs account for 44% of Silicon Valley founders, according to Vivek Wadhwa, a fellow at Stanford Law School. "In today's environment, where we have a war for talent and for STEM jobs here in the U.S., it's impossible to find talent and it's really detrimental for the growth of the tech community," said Romish Badani, founder of immigration software platform Bridge US. The H-1B visa policy is too restrictive. The H-1B is the most popular visa for high-skilled foreigners. But it's capped at 85,000 a year and the quota is filled through a lottery. According to U.S. Citizen and Immigration Services, more than twice that number of people applied in one week this year. However, it's not within Obama's executive power to increase the annual number of H-1Bs, according to Tahmina Watson of Watson Immigration Law. But he could tap unused visas from a previous decade. While work visas are in high demand now, that wasn't always the case. There are at least 200,000 unused visas from 1992 to 1997. These visas could be used to bolster quotas for visas like the H-1B. There's no startup visa for young entrepreneurs. An H-1B requires foreign entrepreneurs to show they can be hired, fired, paid and controlled by the company, so it's very difficult to launch a startup. A startup visa has been proposed for years (the Kauffman Foundation estimated it could create at least 1.6 million new jobs over 10 years), but has been unable to pass in the House. Without visa opportunities, many entrepreneurs are choosing to start their companies elsewhere, like Madhuri Eunni who launched a tech business in Toronto. Eunni isn't alone in leaving for Canada. The country is implementing changes to cater to entrepreneurs, launching a startup visa in April 2013. Congressional approval is needed for a new visa class, so Obama won't be announcing this tonight. But he could eliminate the employer-employee relationship mandated by the H-1B. If he loosened the restrictions, startup founders would be more likely to receive an H-1B. Separately, he could revamp criteria for the 0-1A visa (for individuals of extraordinary ability or achievement) to include things like admittance to startup accelerators. These visas don't have a quota and would help more entrepreneurs stay in the U.S. Experts say Obama is most likely to address the H-4 visa, which is for spouses of H-1B holders. Many highly educated H-4 holders like Rashi Bhatnagar want to start a business and actually create jobs. But they can't work under the current law (so consequently aren't paying taxes). In May, the Department of Homeland Security proposed a rule that would allow some H-4 holders to work. There is a visas for entrepreneurs -- but it caters to the rich. The E-2 visa allows entrepreneurs from select countries to be self-employed. The problem, though, is that the E-2 requires a "substantial" cash investment (typically $100,000) and at least 51% ownership of the company. "Startup founders do not have a lot of money but have rich minds and valuable intellectual property," said Watson, who suggested that Obama could lessen the requirements of the E-2. And the green card allocation system isn't helping the backlog. There are 140,000 employment-based green cards issued each year, but many go to dependents. Watson said Obama has the ability to change the way these green cards are counted (for instance, grouping an entire family together as "one" green card, thus expanding the total number available). How many of these issues Obama will address, if any, is anybody's guess. "We are all watching closely to see what the president proposes," said Jeff Bussgang, Harvard Business School lecturer and venture capitalist. "Many are afraid that he will be too tentative and won't go far enough to help the innovation community."